isotype of Rhododendron ningyuenense Hand.-Mazz. 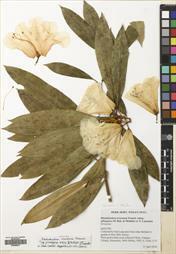 Collector/Expedition: Cox, P. & Hutchison, P.
Rhododendron irroratum Franch. ssp. pogonostylum (Balf.f. & W.W.Sm.) D.F.Chamb. syntype of Rhododendron pogonostylum Balf.f. & W.W.Sm. 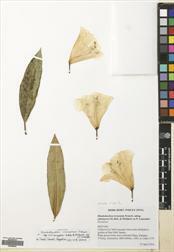 holotype of Rhododendron adenostemonum Balf.f. & W.W.Sm. 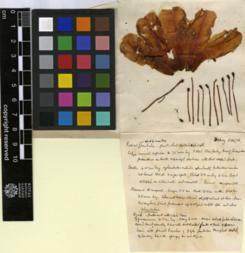 isotype of Rhododendron pogonostylum Balf.f. & W.W.Sm. isotype of Rhododendron adenostemonum Balf.f. & W.W.Sm.